My name is Gugulethu Siso and I am the Founder and CEO of Thumeza which is registered as a Private Business Corporation. Thumeza is a delivery solutions provider focused on on-demand and last mile deliveries in the Bulawayo area. We have used the peer-to-peer delivery model to successfully complete over 200 deliveries to almost all the 127 suburbs in and around Bulawayo since inception in April 2018. Thumeza was named for a word in daily use, ukuThumeza, which means “to ask someone to carry something along for you”. The name was chosen out of a desire for a word that would be easy to remember and instantly bring to mind what we do. 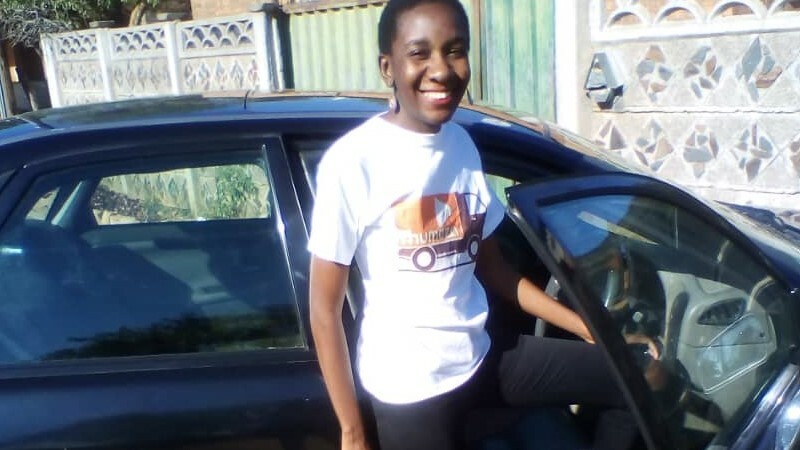 The idea for Thumeza was born out of the frustration of being unable to get essential medicine urgently delivered to my grandmother who lives in a village just 150 kilometres out of Bulawayo. Courier/delivery service firms do not deliver to the area and the bus service we normally relied on was not travelling to my grandmother’s village that particular day. This frustration got me thinking about how many other people and companies were experiencing not only similar problems but also issues delivering packages in general. After doing the relevant market research and testing a proof of concept, we officially launched on the 27th of September at Pitch Night Bulawayo, an emerging idea initiative spearheaded by Educate Loans, the Techvillage and other partners. While we do not yet have a mobile app or interactive website unlike other players in the market, this is something we are currently working on, we ensure a high-touch service for our customers by handling requests personally. This ensures that we are able to provide quality service that is sympathetic to every situation, no matter how bizarre, that may come our way. Our high-touch approach enables us to know and be mindful of our customers’ exact needs . In an age where many things can be done through an app, sometimes interacting with a voice on the other side of the line makes all the difference in engaging a repeat client. Thumeza has encountered its fair share of challenges since inception. The first big challenge we faced was securing the trust of our drivers and clients as a female-managed business operating in a male-dominated world. As we’ve grown, however, word of mouth referrals have ensured that the drivers in our stable are reliable and fully on board with Thumeza’s vision and that clients are willing to entrust their packages with us. The second issue we have faced is lack of access to capital, which is an issue that many small firms in Zimbabwe encounter. We are currently exploring a variety of ways to raise capital including participating in programs such as the Tony Elumelu Entrepreneurship Programme. I was selected as one of 21 Zimbabwean entrepreneurs chosen as part of the 2018 cohort and this has granted us a small measure of seed capital which will allow us to expand and further develop our operations. Our vision is to be the last mile deliverer of choice in Zimbabwe with a specific emphasis on informal traders and SMEs which are the lifeblood of our economy despite being less glamorous than corporates. With that in mind, we have partnered with various SMEs, e-commerce startups, NGOs and other institutions as their logistics partner. This allows them to focus on the operational aspects of their businesses, leaving the trouble of delivery to be handled efficiently by Thumeza. We plan to expand to other regions within Zimbabwe, specifically by targeting remote areas that currently do not have the benefit of having efficient and reliable delivery services. This brings me back full circle to the reason why I started Thumeza as we believe that no delivery need is too small or too far for us! We are currently finalizing agreements with an exciting new partner that will allow our vision to become a reality within the next couple of months so keep a lookout for our exciting news! We are always on the lookout for new partners – be they institutions looking to use our services, drivers wishing to join the Thumeza family, prospective employees wishing to join a plucky growing startup or everyday people with everyday delivery needs. So if you are reading this and wish to reach out, don’t be afraid to! Great stuff, keep pushing, yu are already a winner. Great stuff Gugu. So proud of you.You providing great solutions to logistical challenges.